Tahiti will fulfill all your South Pacific island fantasies. 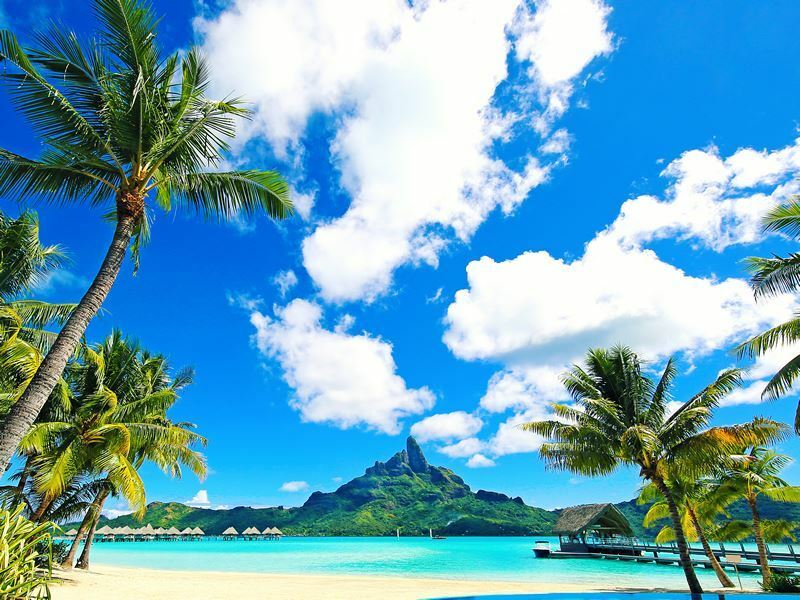 Picture idyllic beaches, turquoise ocean and luxury resorts with overwater villas. Experience world-class diving, volcanic mountain ranges, sumptuous spas and lagoons teeming with marine life. Tempted to visit? 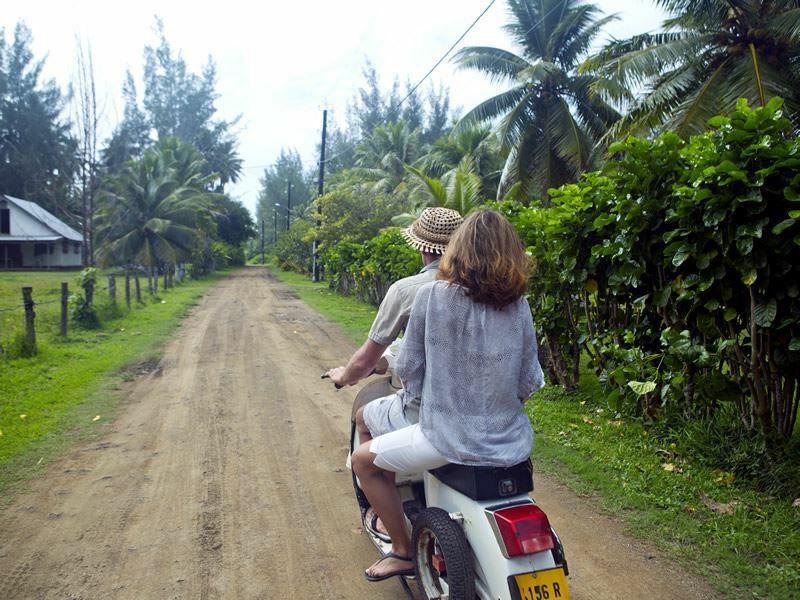 Then check out our guide to getting around Tahiti and where to stay. Flights to Tahiti’s Faa’a Airport go from the USA and New Zealand. The most convenient route from the UK is to fly via Los Angeles International Airport or San Francisco International Airport. It takes around eight hours to fly from both of these destinations directly to Faa’a with carriers such as Air France, Air Tahiti Nui, French Bee, Delta and Quantas. London Gatwick and Heathrow offer direct flights to LA with a range of airlines like Norwegian, British Airways and United. The journey takes just over 11 hours, you can also fly with Thomas Cook Airlines direct from Manchester. For San Francisco, 11-hour direct flights go from Gatwick with Norwegian, or you can opt for longer connecting flights with alternative airlines from Heathrow or other major UK cities. This group of 77 islands is famed for its castaway feel. The most common islands to visit are Rangiroa, Tikehau, Manihi and Fakarava, all of which have their own peaceful lagoons. The area is a world-famous diving and snorkelling site with exquisite marine life, particularly off Rangiroa, which is surrounded by over 200 islets and thriving reefs. Locals get most of their income from sourcing black pearls and coconut. Set nearly 1,000 miles south of Tahiti, the Gambier Islands are some of the most isolated in the region. Four islands; Mangareva, ‘Aukena, Taravai and ‘Akamaru share the same sparkling lagoon and are surrounded by rugged islets. Visitors can tour pearl farms and colonial churches and convents from the 1800's. These are a four-hour flight from the Society Islands and some of the wildest in the region. Just half of the 12 islands are inhabited, featuring jagged cliffs and peaks. The largest island, Nuku Hiva, boasts crashing waterfalls and valleys, as well as ancient religious sites. Visit Hiva Oa for its history and giant stone Tiki or head to Hiva Oa, the paradise where artists Paul Gauguin and Jacques Brel lived. These seven unique islands are set on the Tropic of Capricorn and have a cooler climate with their own ecology. 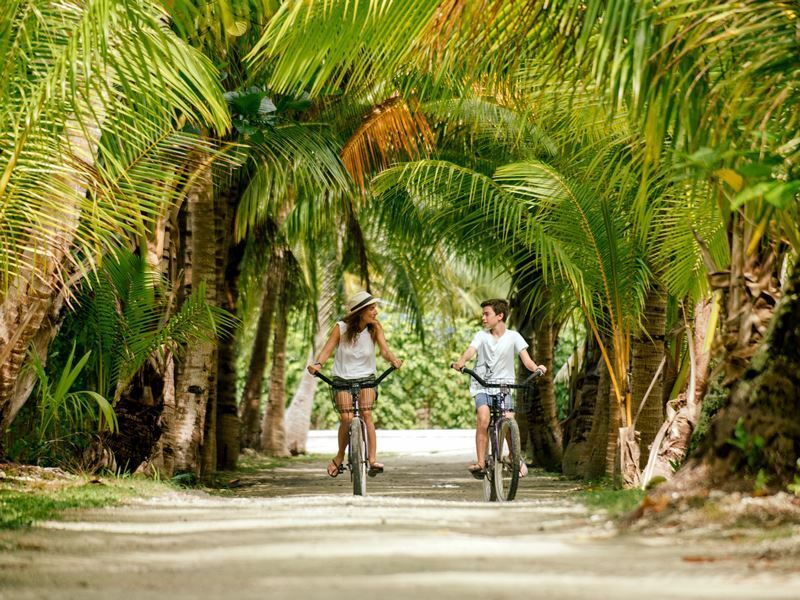 Come to the Austral Islands for Polynesian villages and stunning beaches, mountains and valleys. You can also spot humpback whales here between August and November. What better way to explore this Polynesian paradise than by boat? Our Tahiti & the Society Islands Cruise is the perfect option, offering seven nights aboard the grand MS Paul Gaugin ship. The journey starts and ends in Papeete and sails the South Pacific, stopping off for snorkelling, kayaking and diving adventures. 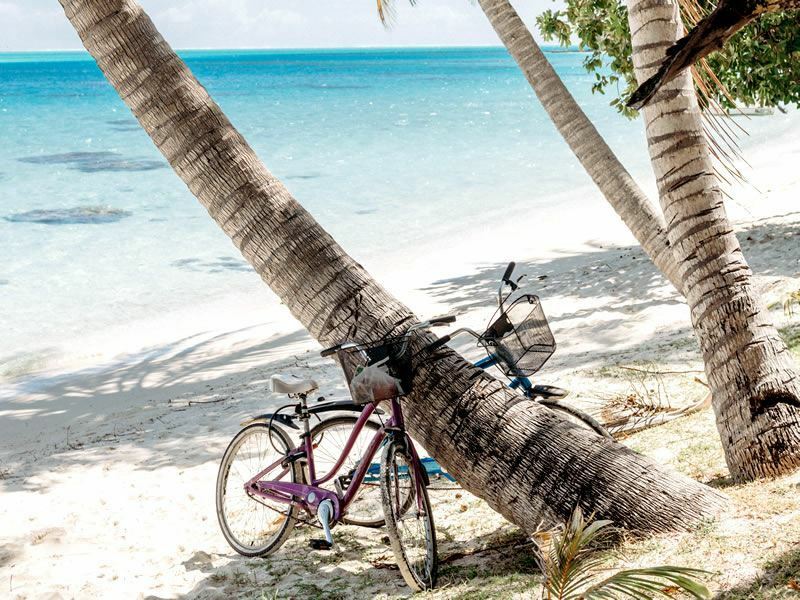 You’ll visit Huahine, Bora Bora, Taha’a and Moorea, where there’s a chance to shop at markets, laze on private beaches and trek in the rainforest. 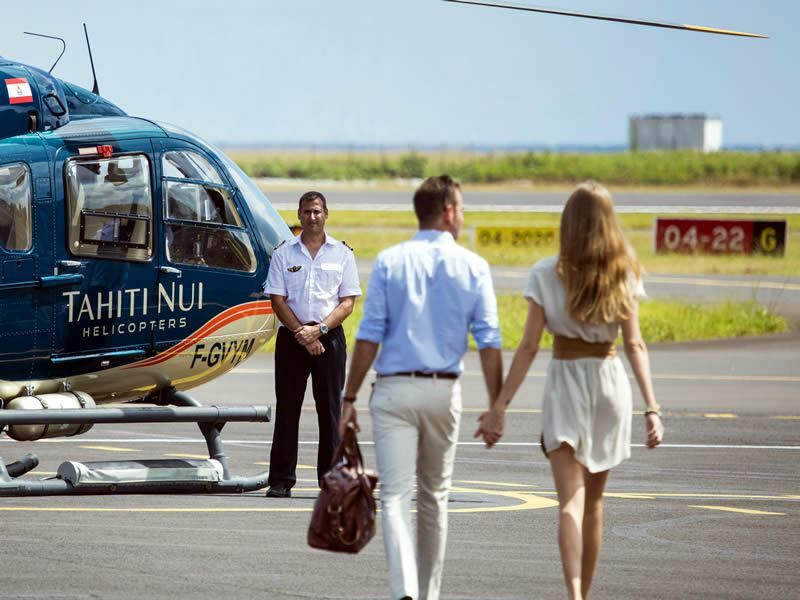 Additional extras include dolphin watching trips and a helicopter tour over Mount Otemanu. This vibrant public market is set in Tahiti’s capital Papeete and has been running for over 150 years. Peruse the stalls selling traditional Tahitian clothes, tropical fruit, vanilla and locally-made handicrafts, jewellery and souveniers. 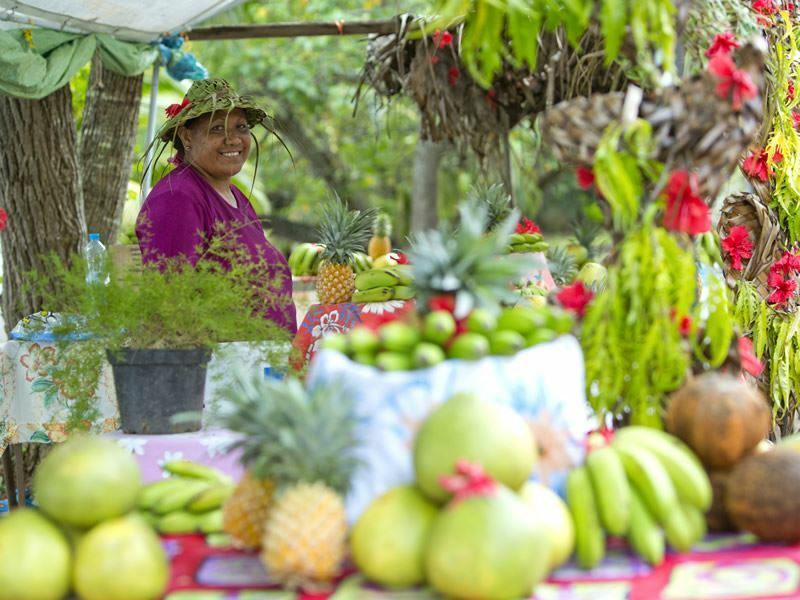 Smaller fruit stalls can be found dotted around the islands - such as in Moorea. This geological wonder lies on the north side of Tahiti Nui. Formed from coastal erosion, watch as big swells crash into the cliffs creating a spectacular natural blowhole. Tahiti lies in an Exclusive Economic Zone, which is a designated wildlife sanctuary. This means the waters are some of the best in the world for diving and snorkelling, with rich coral reefs and over a thousand species of marine life. This includes over 20 types of shark as well as dolphins, manta rays and turtles. There are dive centres on 11 of the islands, including Bora Bora, Tahiti and Moorea. Highlights for divers include deep ocean drop-offs, shark sightings at Tiki point, Bora Bora’s huge lagoon and thrilling drift diving at Avatoru and Tiputa pass near Rangiroa. 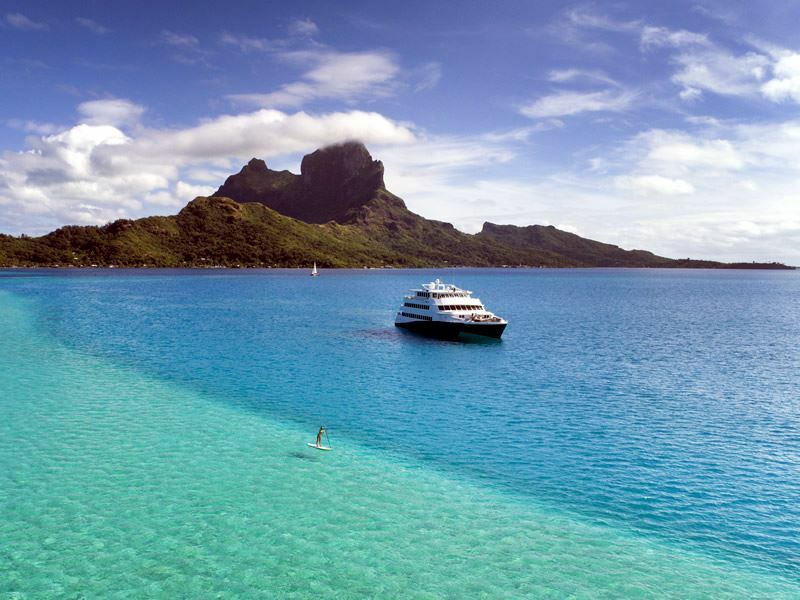 Many resorts in Tahiti offer watersports including sailing, waterskiing and kayaking. Surfers can experience the biggest waves between May and August, with experts attempting one of the world’s most dangerous surf break at Teahupoo. 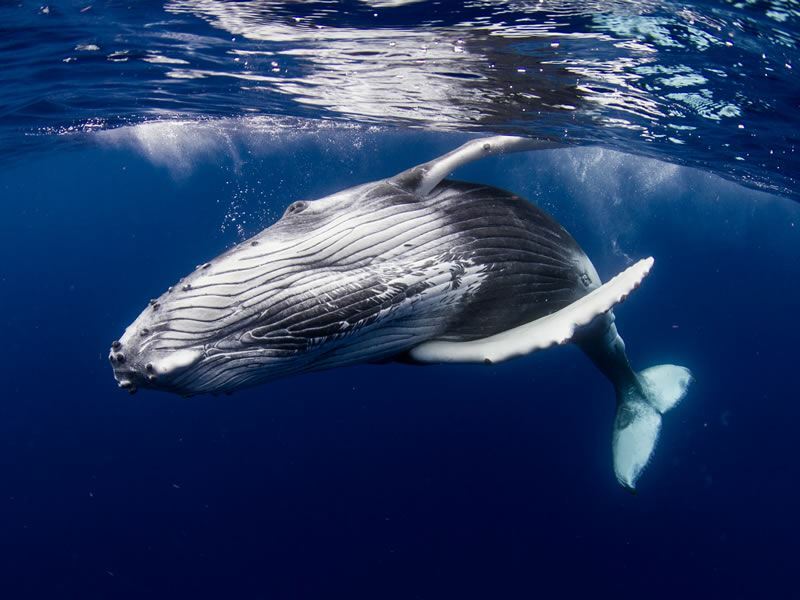 It’s possible to spot humpback whales on boat trips from July to November, when they come to Tahiti’s waters to calve. Rurutu is a good area for sightings. You can also see a variety of bottle nosed and rough toothed dolphins, which are protected in the area. 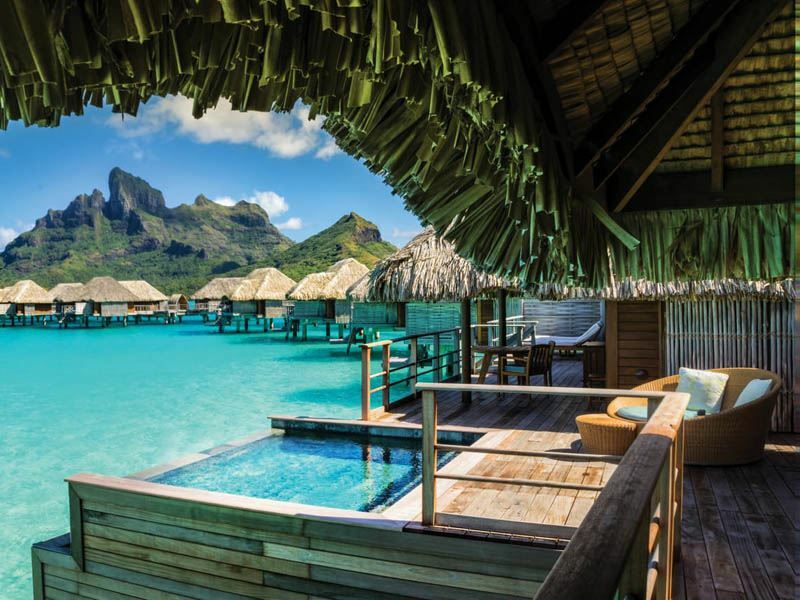 As a top romantic destination, Tahiti has a number of opulent spas ideal for a pampering session, many set in open-air bungalows by the ocean. Choose from a range of body, face and hair treatments including massages, manicures, masks and wraps. Try the Polynesian Taurumi, a massage that focuses on applying pressure to energy lines in the body. 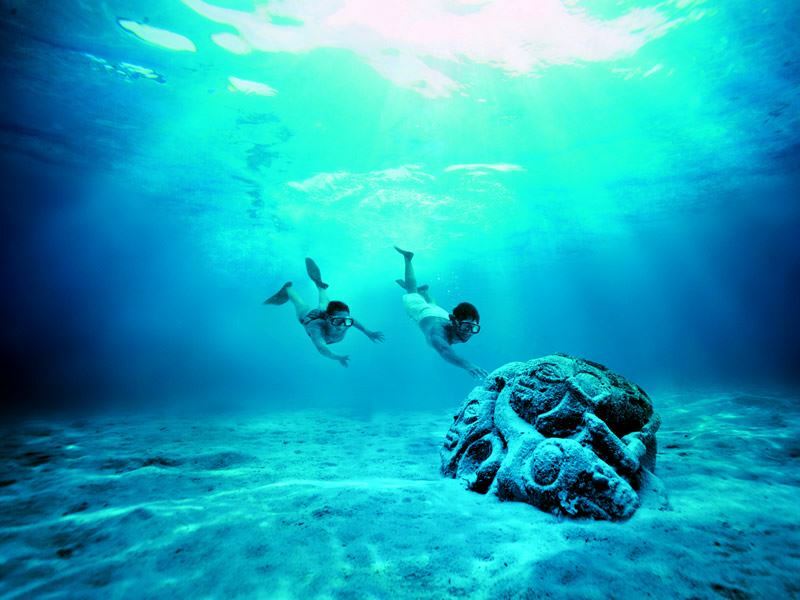 To learn more about French Polynesia and its culture, visit some of Tahiti’s museums. Start with the Museum of Tahiti and her Islands, then visit the Black Pearl museum to see the world’s largest collection of these precious objects. Art fans shouldn’t miss the Paul Gauguin Museum, which celebrates the work of this French artist.